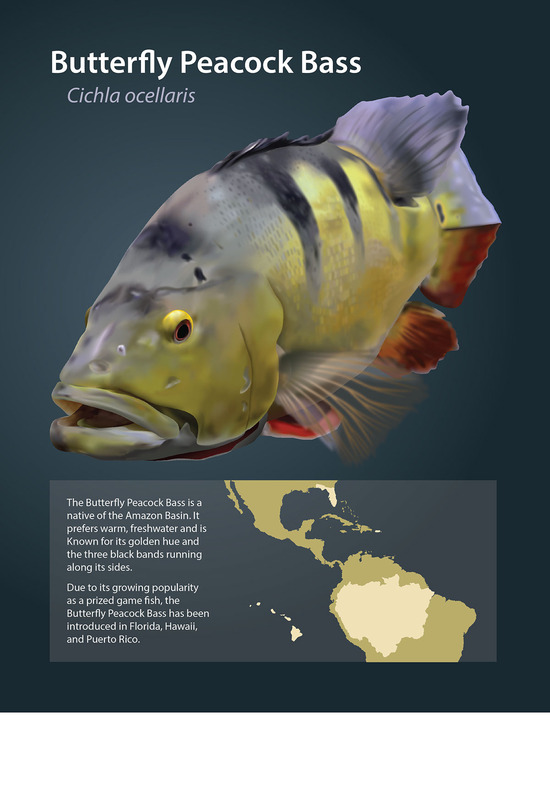 After researching the Peacock Bass and its habitat, I used the gradient mesh tool in Adobe illustrator to illustrate it. This project took a long time to complete, and I would still like to revise it and add more detail to its scales. I do not own the copyright to the photograph of the Peacock Bass fish, and this illustration was used for educational purposes only.